Here is more on the Silwan community facilities that were destroyed, a largely US-funded project of the Middle East Children’s Alliance (MECA); the cafe and sports field had only very recently been completed. 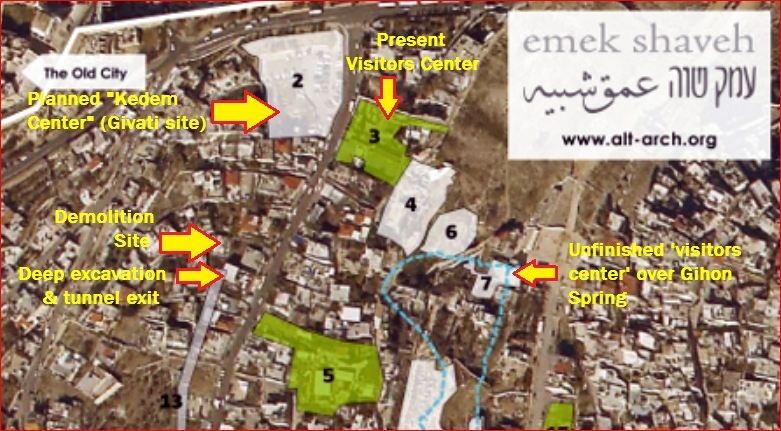 Amazingly, MECA has already (as of 16 FEB) announced plans to rebuild the facilities very soon, is soliciting funds for this purpose, and has encouraged supporters to send messages of protest to the Israeli officials responsible for this act. My original post (below) has been edited to include some additional observations and facets of this situation (with web-links) which I think are relevant. Note: I have never before “re-posted” something, but there is just too much going on with this story! 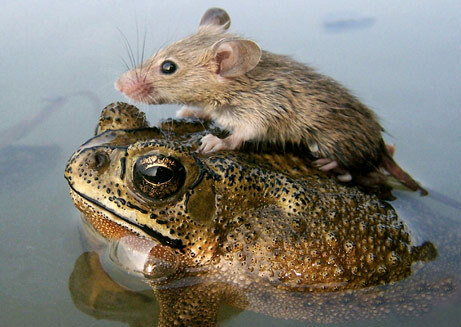 There are really two stories here, intertwined. One is about the announcement Sunday of the approval granted for construction of an imposing new multi-story visitor’s center for the City of David. This is no great surprise to anyone, even though the planning process — the exact nature of the project and what it entailed — was kept almost completely opaque. The other story is the razing yesterday morning, some 100 meters down the street, of a nearby community center facility, including a cafe and a playground for children, all of which had served the local Arab residents of Silwan as well as visitors to the neighborhood. It is a place I know and have visited. The structures were makeshift and almost certainly erected without the proper permits — since Arabs are almost never granted building permits, for any purpose, anywhere in Jerusalem. This particular piece of property is unassailably privately owned by Silwan Arab residents — otherwise Elad, with the help of American billionaire Irving Moskowitz, would have gobbled it up long ago. Two interesting (and troubling) connections: Along with the Jerusalem Municipality, the other party to the demolition was the National Parks Authority, whose newly-appointed director, Shaul Goldstein, is … (wait for it) … yes, a West Bank settler and the immediate past head of a large settler organization, the Gush Etzion Regional Council. And who made a point of being on hand to observe the destruction? Evyatar Cohen, the head of the Jerusalem district of the National Parks Authority, who is … (wait for it) … yes, former senior manager of the Elad association! How astoundingly cozy and enmeshed this all is. There are several other aspects of this situation, including the opposition of activist groups to the Kedar Center, which I have not touched upon here but are nevertheless worth exploring. Here are the two related stories as reported in the Haaretz on-line edition. Here is the version of the article that appeared in the Haaretz print edition. (As I’ve mentioned before, the two often differ.) Here is the story, with VIDEO, from Peace Now’s Settlement Watch. 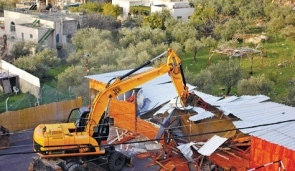 For those who know the area, there is a disconnect here: Haaretz (print edition) states the razing of the structures was done “to make way for a new visitors center”. The fact is, the spot where the demolition took place is not connected at all to the Givati parking lot (now “Kedem Center”) site. It is over 300 feet away, down the street, past a number of intervening structures (see aerial photo, with my markup; for the original interactive image, see HERE). Thus, the actual reason for the demolition is not clear (at least to me), nor is the timing of it, apart perhaps from sheer perversity. A group of Palestinians stood by, angry and shocked, pointing to a similar structure which settlers had put up just 50 meters away for the settler community and for visitors of the “City of David” site. This structure has never been threatened with demolition. Finally, why do I consider the ruins of the Silwan community center “important”? Because they represent, in microcosm, the intentional, relentless disruption of Arab-Palestinian life in Jerusalem, which is being carried out by Israeli governmental entities in league with the ideologically driven settlement enterprise. What could the goal of such things possibly be, except to induce such frustration and despair in the Arab populace that they will simply give up and leave behind a “Jerusalem for Jews”? This will never happen, of course. But with each humiliation, each oppressive Israeli act, I can’t help thinking that a great reservoir of ill will (if not outright anger) is steadily backing up, not only among the Arab-Palestinian people but also the world-at-large, who have long since begun to see through Israel’s thin veneer of “democracy”. When the dam finally bursts, I hope I’m not here to see it. This entry was posted in City of David, Israel-Palestine Scene, JERUSALEM, Occupied Territories, Palestinians, Politics, VIDEOS and tagged City of David, Givati excavations, Jerusalem, Kedem Center, Silwan. Bookmark the permalink. Thanks for the great converge. Nothing like having an eye on the spot. There is something I am curios to know. You write “Arabs are almost never granted building permits, for any purpose, anywhere in Jerusalem”. I know that this is a very common complaint however I am wondering how true it is. Do you have any precise numbers about building permits for Arabs compared to Jews? Is this a factual statement or just part of the never-ending iasraeli-palestinian PR war? The reason I am asking is that an Arab lawyer I know from Jerusalem claims that for some kinds of building infraction the situation of Arabs is actually better then Jews/ so what’s the truth? Do you have any hard data? Eli, hi… These are great questions and touch on a very complex web of issues. I’ll try to give you an intelligent response and also point you to some resources. First it seems there are already two different things under discussion here which should not be confused: (1) a person OBTAINING a building permit and (2) government enforcement of infractions, i.e. how they deal (or not) with “illegal construction”. Your lawyer friend’s statement may very well be true, and it would not surprise me at all, IF we’re talking about “infractions”. The Israelis have created a situation where unauthorized construction has simply run rampant in the East Jerusalem Arab neighborhoods, and I’m sure attempts at enforcement must be spotty. Even so, there are thousands of families who HAVE been cited, have often been assessed enormous fines, and STILL live every day under the threat of demolition (if they have not suffered a demolition already); there have been some 800 demolitions carried out since 2000. Q – Why is it a problem for East Jerusalem Palestinians to obtain housing permits? A – Since 1967, Israel has created a “Greater” Jerusalem which controls the entire central portion of the West Bank and cuts the economic heart out of Palestinian state. While constructing 90,000 housing units for Jews in East Jerusalem, the municipality has intentionally created a shortage of 25,000 housing units for Palestinians. The goal is three-fold: (1) the blatantly racist objective of maintaining a 72%-28% majority of Jews over Arabs; (2) to confine the Palestinian population to small islands – the Arabs make up a third of the Jerusalem population, but only have access to 7% of the urban land; and (3) to ultimately force them out of the city. Why so much “illegal construction”? There are untold thousands of East Jerusalem Arabs who do not even think of seeking a building permit because they know it is futile, for many reasons: Most Arab neighborhoods are hemmed in, with no legal open spaces for expansion (that’s why the newly proposed “national park” on the backside of the Mount of Olives is so insidious: it locks up a large tract of land that precludes any expansion of the at-Tur and Issawiya neighborhoods). The Israelis have devised 101 bureaucratic tools to lock up land like this; Silwan, for example, is a “green area”, a “national park” where (supposedly) nothing at all can be built, period — but people LIVE there — it’s a living community! Other factors: Palestinians have difficulties legally registering their land in the Israeli system. Applying for a permit also requires that your neighborhood be zoned, and zoning requires a development plan, but the Municipality’s planning efforts in these areas are shamefully inadequate, and local planning initiatives are seldom approved. Even with proper zoning, you have to have infrastructure in place — roads, water, sewerage, etc., and little is invested in installing or extending these; there are entire large neighborhoods NOW that are not “on the grid”. Then the cost of obtaining a permit is prohibitive to many — they START at about US$25,000, for a fairly modest structure! And, the complex application and approval process can take YEARS to pursue. (All these issues and many others are detailed in the OCHA report.) At the same time, people have to provide for their families — they have to live. Maybe this begins to give you some perspective on the issues involved, which, again are complex but very real. It’s not just PR — and people owe it to themselves to understand what’s going on. As for your specific query about the percentage of permit applications finally approved, for Arabs vs. Jews, I cannot find this data — it may be out there somewhere. Even if we had it, it might not be that relevant, though: Again, keep in mind the myriad stumblingblocks that conspire to keep many East Jerusalem Arab-Palestinian residents from ever entering the permit application process at all.